Folks in Noe Valley are fired up to finally be able to claim ~CONTIGO~ as their own—this cheerful Cal-Catalan spot opens its doors tonight! The restaurant doesn’t take reservations (unless there are six people in your party), but there’s a bar area for mingling while waiting for a table. If you want a reminder of what Contigo is all about, refer to the tablehopper issue from January 20th. There’s also a menu posted online. Hours will be Sun and Tue–Thu 5:30pm–10pm, and Fri–Sat until 11pm. 1320 Castro St. at 24th St., 415-285-0250. Also in Noe Valley, the Noe Valley blog has a letter from the owners of ~NOETECA~ that explains their new biz that is opening in the Last Laugh Coffee space. Here’s more from the posting: “We plan for Noeteca to continue in the footsteps of The Last Laugh Coffee House and to continue to be a neighborhood focused café. The wine selection will be expanded, and the new menu will feature economical and flavorful comfort food in the style of small European cafes. The breakfast and lunch menu will feature items like Ham and Potato Hash with Poached Eggs, Callah [sic] French Toast, Duck Confit Salad, and house made soups and stews including French Onion Gratinée. Dinners will be simple and wine friendly. The wine list will offer roughly twenty accessible wines from various regions – all will be offered by the glass and half-glass. We also plan to offer a variety of non-alcoholic drinks...” Also revealed: the owners are Alex Kamprasert from Chloe’s Café and Scott McDonald. They are spending the month renovating, and hope to open on April 1st. To read the note in its entirety, click here. 1551 Dolores St. at 29th St.
A change up in the Castro: the café and creperie ~A BON PORT~ has changed into ~BLUSH!~, a wine bar as of tonight! 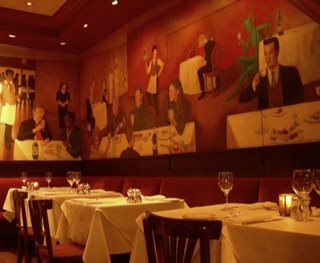 It’s still run by the same owners, Jean-François Pauly, and Mickael Azoulay from Chouquet’s on Fillmore. There will be 30 wines by the glass, and a bunch of bites from Chouquet’s chef Laurent Guillaume, ranging from beef tartare to tapenade to tuna carpaccio, plus tiny ravioli from Royans that are filled with Comté cheese, topped with a Parmesan and chive sauce. Hours will be 5pm–1am daily, and opening at 10am or 11am Fri–Sun for brunch and imbibing throughout the day. 476 Castro St. at Market, 415-558-0893. A few weeks ago I got word about a coffee and comic space coming to the Outer Mission, and so a big thanks to Mission Mission for saving me the legwork. ~CAFFEINATED COMICS~ just opened on Sunday March 1st, and has 15 seats, with Four Barrel Coffee (! ), fresh juices, comics, free Wi-Fi, and donuts and pastries. Hours are Mon–Fri 7am–6pm, and Sat–Sun 9:30am–5pm, and until 8pm on Wednesdays because I just learned that’s the day comic books come out, so they “wanted to stay open for the fanboys.” 3188 Mission St. at Valencia, 415-829-7530. Bernal Heights is going to have a lovely addition to the culinary scene up there: ~SANDBOX BAKERY~ is slated to be opening in mid-April or so. The woman behind the baked goods goodness is Mutsumi Takehara, whose background includes La Farine, Chez Panisse, Rubicon (she was head pastry chef there in 1999), and nine years with Slanted Door, all the way back to its Valencia Street days. Her retail bakery will be selling French pastries, like croissants and brioche, plus savory breakfast items. Look for some Asian influences and flair since Takehara is from Japan. Lunch will also be available, including sandwiches on homemade bread, plus soups, and salads to go. The space was formerly a garage, in case you’re wondering what it’s moving into. 833 Cortland Ave. at Gates. A tablehopper reader also let me know that ~ADELITA'S CAKES & FRITANGA~ is becoming Ice Cream & Crepes. Anyone know the scoop? (Har.) 2943 Mission St. at 25th St.
Let’s talk TV for a moment, shall we? I’m not going to spend too much time on last week’s final episode of ~TOP CHEF~ since it annoyed me on too many levels, starting with Hosea’s childish and unsportsmanlike attitude: oooooh, I’m gonna grab all the caviar AND the foie!! Dude, you’re acting like a big baby, much like the one you found in the king cake. Also irksome: the return of Casey (yawn), Rocco DiSpirito (like, why is he there? ), and Carla not staying on her game (damn it, Big Bird, I wanted to see you take it home!). Highlights included Gail’s cups running over, Stefan acting very sweetly to Carla when she started losing it at judges’ table (I knew the guy had a heart), and seeing the end (hopefully) of Toby Young’s shiny pate—I much prefer Tom’s. As for next season, can we plllllease take it easy on the product placements? Geesoos H. Keerist. Speaking of Top Chef, ~ABSINTHE BRASSERIE & BAR~ executive chef and Top Chef contender Jamie Lauren is offering a special scallop tasting menu in honor of her “Top Scallop” title. The four-course menu includes a bay scallop crudo; scallop and clam chowder; Hokkaido grilled scallop with puree of sunchoke, slow-cooked artichokes, Meyer lemon, and erbette chard; and seared dayboat scallops with creamed green garlic, asparagus, fava beans, and nigella. (I wonder if any celery will make an appearance?) $75 per person, excludes beverages, tax, or gratuity. The menu will be offered during regular dinner service starting at 5:30pm, from March 18th–20th. 398 Hayes St. at Gough, 415-551-1590. More celery patrol (and if you don’t watch Top Chef, then don’t worry about this segue): whoa, Eric Ripert of Le Bernardin in New York will be cooking for the first time in San Francisco at ~AQUA~ on April 20th. $130 per person. If you can spring for it, I’d make a reservation sooner rather than later. 252 California St. at Battery, 415-956-9662. More TV news: congrats to Mourad Lahlou of Aziza for beating Cat Cora on ~IRON CHEF AMERICA~. Up next is chef David Kinch of Manresa, who is battling chef Bobby Flay on Sunday March 15th. Kinch’s back-up team is chef de cuisine John Paul Carmona and his former chef de cuisine James Syhabout. In honor of the event, Manresa is hosting a viewing party starting at 8:30pm, and the show starts at 9:30pm. There will be passed canapés and a selection of cheeses, plus beer and wine. $50 per person, not including tax and gratuity. Please let Manresa know that you can attend by calling for reservations. 320 Village Ln., a side street between North Santa Cruz and University Avenues, Los Gatos, 408-354-4330. Some interesting format changes are underway at ~MASA’S~: starting tonight, executive chef Gregory Short is offering a new, three-course prix-fixe menu for $55 per person ($30 for three wines paired by Master Sommelier Alan Murray). (Please note the price excludes tax and gratuity.) The menu is offered between 5:30pm and 6:30pm on Tuesdays, Wednesdays, and Thursdays only. It includes a choice between first and second courses (hamachi sashimi or roasted beets en terrine; and pan-seared rib-eye or potato agnolotti with fava beans and black trumpet mushrooms), as well as dessert from executive pastry chef John McKee. In addition to what’s printed on the menu, odds are good the kitchen will send out a few surprises, too. In case you’ve always wanted to check out the Masa’s experience and swish interior, here’s your chance. (This menu is also a great option for theatergoers.) 648 Bush St. at Powell, 415-989-7154. A tablehopper reader let me know there’s another tasty $20-and-under lunch to be had on the Embarcadero in addition to Epic’s burger deal: ~SENS~ in Embarcadero Center 4 started a $19 lunch special. One week it included a lamb and feta meatball sandwich on rosemary ciabatta, with sweet potato chips, mesclun greens, chocolate bread pudding for dessert, and a beverage (including the option of a 12 oz. beer). The menu rotates and is available every day for lunch. 4 Embarcadero, Promenade Level, 415-362-0645. I received some further info related to the mysterious ~THREE STARS YONG DE~ that is moving into the vacant Crowbar in North Beach. A tablehopper reader pointed out that there’s a Super Stars Yong De Restaurant in Glen Park, a Chinese-Japanese restaurant that doesn’t seem to be very loved on Yelp. 401 Broadway at Montgomery. Here, pig! Pig-meister Thomas Odermatt of RoliRoti will be coming to ~PICCINO~ this Sunday March 8th from noon–5pm, and will be churning and turning a whole pig (belly to ribs, loin to leg) on his mobile rotisserie! He’s the man—which is why he has me all cracked out on his porchetta sandwich at his Rotisario at Oxbow in Napa. Anyway, Piccino will be supplying the veggies, salads, pizzas, and vino. No reservations required. And since their last Hog Island Oyster Day got rained out, Piccino is trying to host it again on Sunday March 15th, noon–5pm. Hopefully the weather will let the shucking begin! 801 22nd St. at Tennessee, 415-824-4224. 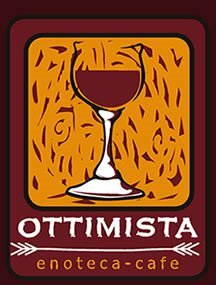 Fans of Piemontese cuisine will want to mark their calendars for this event: Gemma of Osteria da Gemma, located in the small town of Roddino (near Alba) will be hosting a dinner at ~OTTIMISTA ENOTECA-CAFÉ~ on Tuesday March 24th. The four-course dinner will be served family style and with paired wines—you can check out her menu here. Here’s more from the Ottimista newsletter: “Until now, the only way to experience Gemma’s cooking was to visit Roddino, since she seldom leaves Italy. But after years of trying to convince her to come here, Gemma is finally making her first trip to America–but only to San Francisco.” The cost is $60 per person, including wine, and is limited to 30 guests. 6:30pm aperitivi, 7pm dinner. To RSVP, call 415-674-8400. 1838 Union St. at Octavia. More Italian news: the folks behind Angelino Restaurant in Sausalito are opening ~CIBO~, a café adjoining a couple Sausalito galleries. Tera (a pastry chef) and her husband Alfredo Ancona will offer breakfast and lunch, leaving dinner to their restaurant Angelino. There will be organic espresso drinks, house-made pastries, and desserts like budinos, tarts, and galettes, all available to take home. Lunch will include panini, soups, and salads—and since Alfredo is Neapolitan, there will also be baked pasta and frittata on the menu. There are 35 seats inside, and outdoor seating, too. CIBO will be open daily from 7am–4pm or so. Look for an opening in April. 1201 Bridgeway at Pine, Sausalito. Opening this Thursday in the Hamilton Marketplace in Novato is ~TOAST~ from restaurateur Shahram Bijan and chef Michael Garcia; it’s a sibling to the original location in Mill Valley. The menu features contemporary American comfort food, and will be open for breakfast, lunch, and dinner. On the menu: breakfast pizzas, build-your-own omelettes and burgers, plus hoisin pork chops, brick chicken, and smoke chipotle BBQ ribs. The dinner menu will change monthly and starters range from $5.50–$8.50, with entrées priced from $10.50–$16.95. There will be 30 wines by the glass, nine beers on tap, and a total of thirty to choose from. There’s an open kitchen with counter seating, and there will also be outdoor seating (weather permitting). 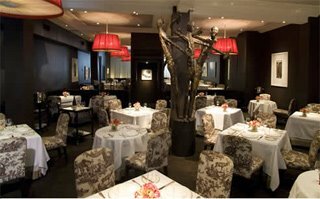 Architect Stanley Saitowitz designed the restaurant (he also did Conduit Restaurant). Open 7am–10pm daily. 5800 Nave Dr., in the Hamilton Marketplace, Novato, 415-382-1144. Down in Menlo Park, ~MADERA~, the new restaurant at the Rosewood Sand Hill luxury hotel and spa is slated to open on April 2nd. The executive chef is Peter Rudolph, formerly executive chef at Campton Place. The rest of the team includes pastry chef Shannon Swindle (Craft Dallas), wine director Paul Mekis (he was at Saratoga’s Plumed Horse for 10 years), and Felipe Gomez-Kraus as food and beverage director (his background includes numerous Four Seasons properties). Features include a wood-fired grill and rotisserie oven, a market-driven menu, a large fireplace in the main dining room, a 50-seat expansive terrace, and a lobby lounge and bar—looks like visitors to all the nearby VC and private equity firms have a new deal-closing playground. Madera will be open daily for breakfast, lunch, and dinner, and Sunday brunch. You can check out the menus here (note: it’s a PDF). 2825 Sand Hill Rd., Menlo Park. Oh, and before signing off, I discovered this ~UTTERLY CHARMING VIDEO~ on the World of Wonder site. It’s from an American woman’s video camera that she placed on a conveyor belt in a busy sushi restaurant in Japan, a great little slice of life.